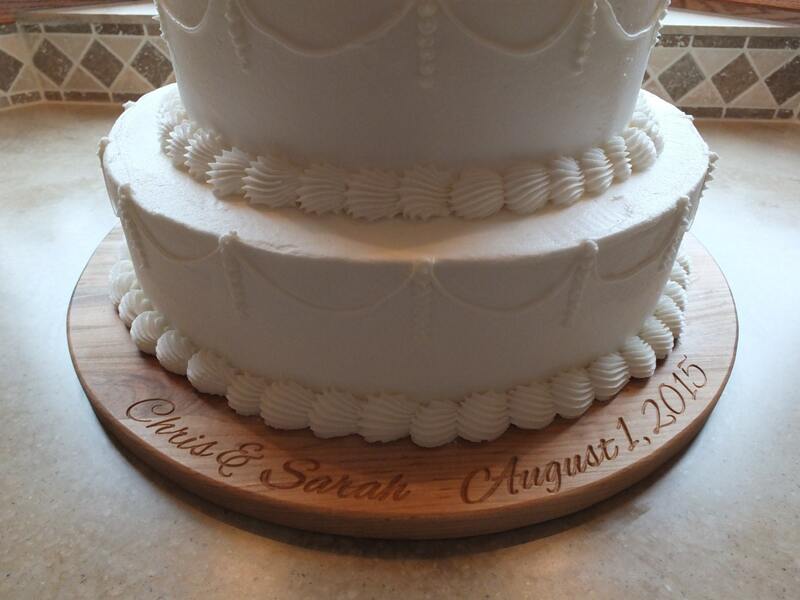 Personalized Wedding or Anniversary Cake Plate. Custom Wedding Decor. Rustic wedding or elegant wedding decor. 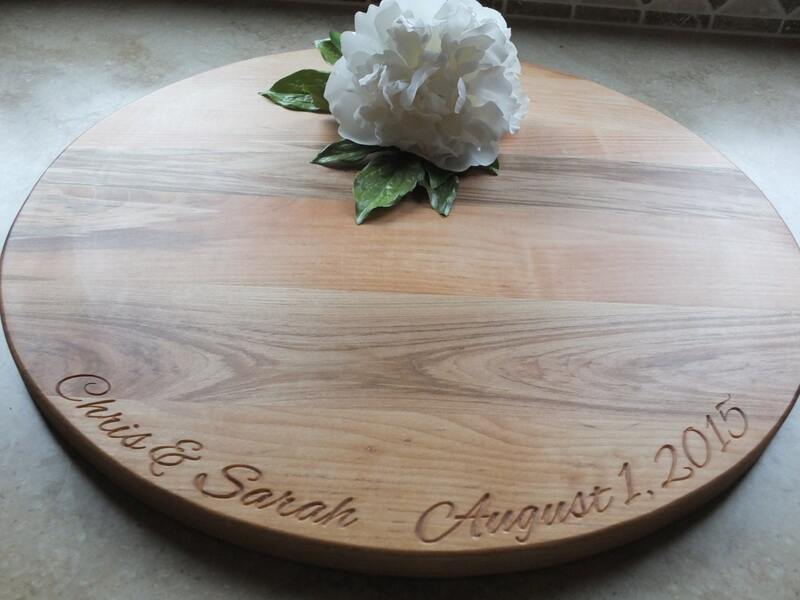 This personalized, engraved wooden wedding cake platter is perfect for the wedding day and useful years after as a cutting board or serving board. 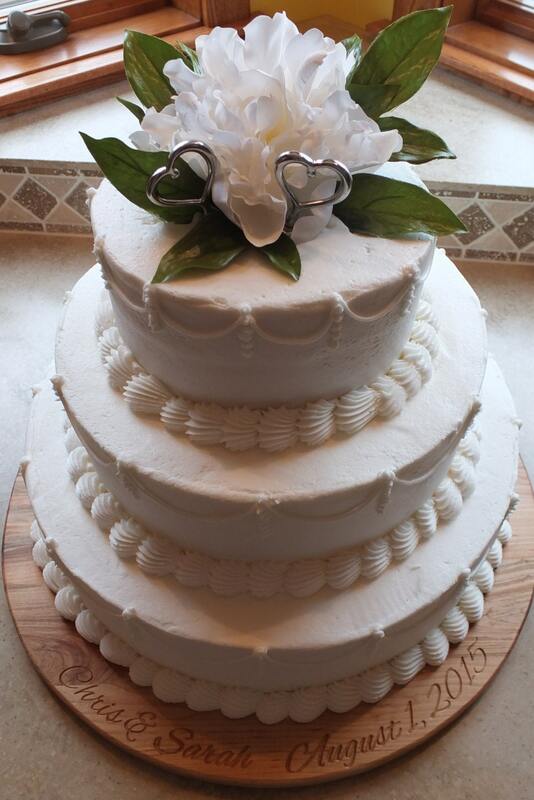 Use it for the wedding cake and as a serving piece on anniversary's for years to come! 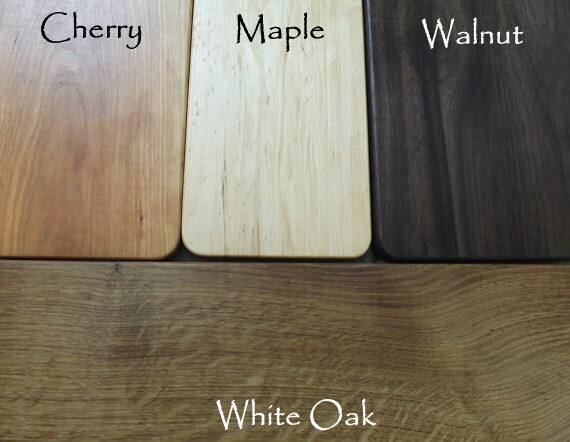 Choose maple, cherry or oak for a rustic wedding, maple or walnut for an elegant wedding theme. The board can be personalized with the names, date or other engraving. Laser engraving creates more contrast between the wood species and the lettering, allowing lettering to be seen more easily. All board are approximately 3/4" thick.